Fall is full of wonderful things: pumpkin lattes, crisp autumn air, changing leaves, and tax preparation. OK, tax preparation may not hold the same wonder as fall flavors and vibrant foliage, but this is a critical time to get your financial house in order before the end of the year. 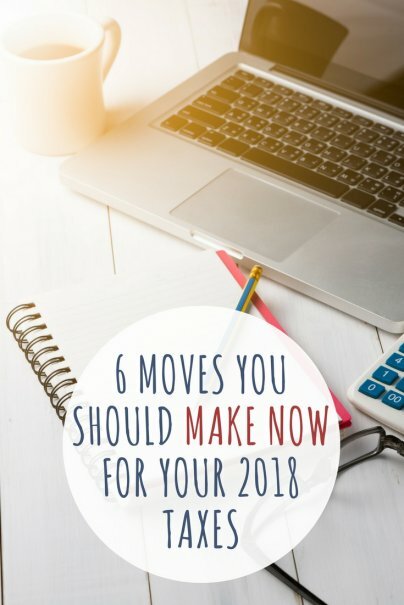 In particular, here are six easy tax tasks to take care of before we enter 2018. Did the size of your family change this year? If it did, contact your human resources department to update your withholding so that you aren't overpaying or underpaying your taxes throughout the year. Get out your 2016 tax return and consider any changes that have happened in your life since you filed your taxes for that year. Did you move to a new county, city, or state? Did your marital status change, and you'll now be filing jointly? Did you switch jobs or take on some freelance work? All of these changes can impact your tax filing, particularly if you itemize your expenses. For example, let's say you moved to a new city this year and now work full-time from home. You'll want to have any job search expenses, home office and work-related expenses, and any moving costs detailed and organized before you visit your accountant or start the preparation and filing process yourself. All of these costs are potentially deductible on your taxes if you have well-organized records of them. If you moved this year, make sure your employer(s) (full-time and freelance) from 2017 have your updated address so that you get your W-2 forms without delay. Are you maxing out contributions to your 401(k), 403(b), and/or IRA accounts? If not, could you afford to increase your contributions to meet or get closer to the max for the year? You can contribute up to a maximum of $18,000 (plus an additional $6,000 if over age 50) to your 401(k) or 403(b) for 2017 until December 31. IRAs give you more flexibility with your 2017 contributions — you can contribute right up until you file your 2017 taxes or Tuesday, April 17, 2018, whichever comes first. You can contribute up to $5,500 per year to an IRA (or $6,500 if over age 50). Do you do freelance work? You still have time to set up and contribute to a retirement account that will have tax benefits for the 2017 tax year. In particular, look into opening a Simplified Employee Pension Individual Retirement Arrangement (SEP IRA) account. SEP IRA accounts are specialty retirement accounts that were created for the advantage of business owners and their employees. This applies to you if you're a freelancer. These accounts can be opened and funded independently from any other retirement accounts you have, such as traditional and Roth IRAs as well as 401(k) and 403(b) accounts from employers. Like other IRAs, you have until you file your 2017 taxes or Tuesday, April 17, 2018, whichever comes first, to set up and fund an SEP IRA for 2017. For 2017, contributions to an SEP IRA cannot exceed the lesser of 25 percent of your compensation or $54,000. This is a task I always leave right until the end, but this year I'm trying to get ahead of the game. I itemize my taxes each year and have to keep track of all of my receipts to make sure I itemize properly. Rather than letting my receipts stack up over the year, I've been tracking them in a spreadsheet each month to make my tax filing quicker and easier. Don't forget about any job-hunting expenses, either: Make sure to take special note of those expenses related to job searching, as they will be itemized in their own category. Did you buy or sell a home in 2017? This change has huge implications on your taxes. Make sure you have all of your home purchase or sale paperwork organized so that you can account for it appropriately in your filing. Fall offers us a slight pause before the rush of the holiday season that ushers us into the new year. Take a little time now to get a head start on tax preparations, and your future self will thank you!